Join us for an transformational and educational 12 day retreat where we will combine yoga and movement therapy with immersive learnings from the permaculture design certificate to heal ourselves, the environment and our communities. This one-of-a-kind retreat focuses on redesigning your own life using permaculture ethics and principles and yoga as tools for self-transformation. 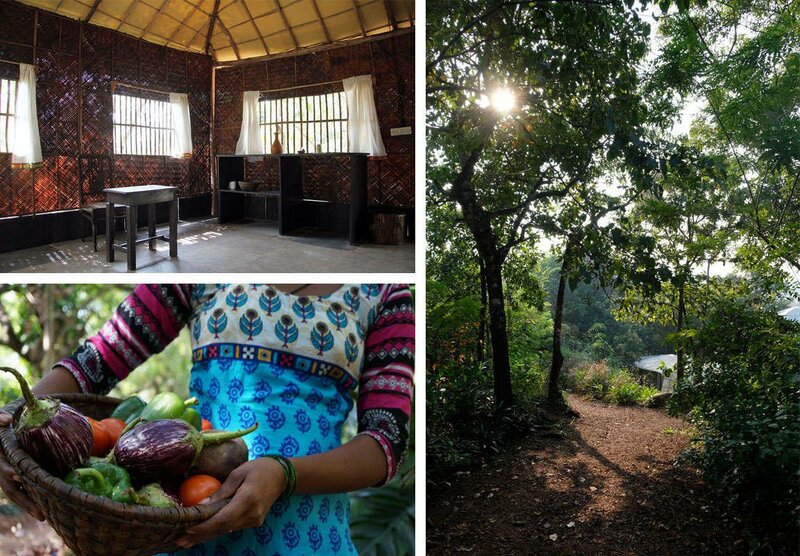 Learn to redesign your life using permaculture and yoga while living immersed in nature. This retreat merges the ancient Eastern philosophy of Yoga with the holistic Western design science of Permaculture. Both disciplines speak a similar language and stem from a deep care for humans and the earth. What to Expect from a PDC? The Permaculture Design Certificate (PDC) course material was originally developed by Bill Mollison, co-founder of permaculture, to teach the principles and foundations of sustainable design. You'll receive 72 hours of instruction, in addition to self-study, hands-on projects and site visits to neighbouring permaculture sites. Adapted to a wide variety of learning styles, the coursework will be presented via lectures, multimedia, group discussion, individual and group exercises and projects. Local permaculturists and pioneers in their field will be invited as guest tutors. The course culminates with a design project where students can choose from real life assignments including one relevant to the site of the workshop or create designs of their choice as individuals or in teams. They must then present their designs to the class and other relevant attendees. Students must attend all lectures and successfully complete the design project in order to gain the certification. Claude is fully committed to contributing towards the protection and renewal of all life. Through his work, Claude hopes to ignite a passion in others to establish a more connected and loving relationship with the Earth – one that is founded in reverence, respect and co-operation. Claude has been in India since 2016 setting up land and food growing projects in Goa, Tamil Nadu and Himachal Pradesh, volunteering, teaching the permaculture design certificate (PDC) course and assisting Robyn Francis, Rico Zook, Govinda Sharma, Narsana Koppula, Jude Hobbs, Clea Chandmal and Starhawk (some of the world’s best permaculture tutors) at the extended PDC part of the IPC (International Permaculture Convergence) held at Polam Farm in Hyderabad, in November and December 2017. After working a high profile job in the corporate world in her early 20’s, a few years ago, Lilya’s life took a completely different turn. Now she’s chosen to accompany people on their inner transformative journey through personalized coaching and yoga. A melting pot of cultures herself, Lilya has always loved to combine different tools, techniques and knowledge to offer a 360° approach in whatever she does. She currently teaches private & group classes in Mumbai and supports souls worldwide through coaching. She combines hatha yoga with other tools & techniques acquired over the last 15 years to facilitate her students growth. She loves nature, travel, animals, good food, good music, authenticity, kindness, kids, growth, the ocean and adventures. What to Expect from the Yoga? You'll begin the morning with an energising 90 minute session of yoga focused on breathwork, alignment and intention to ready yourself for the day ahead. Each day will end with a relaxing and restorative 60 minute session that allows the body to experience complete surrender. Co-create and share learnings with an international community of like-minded people. Our groups are 15-20 people from Goa and all around the world. 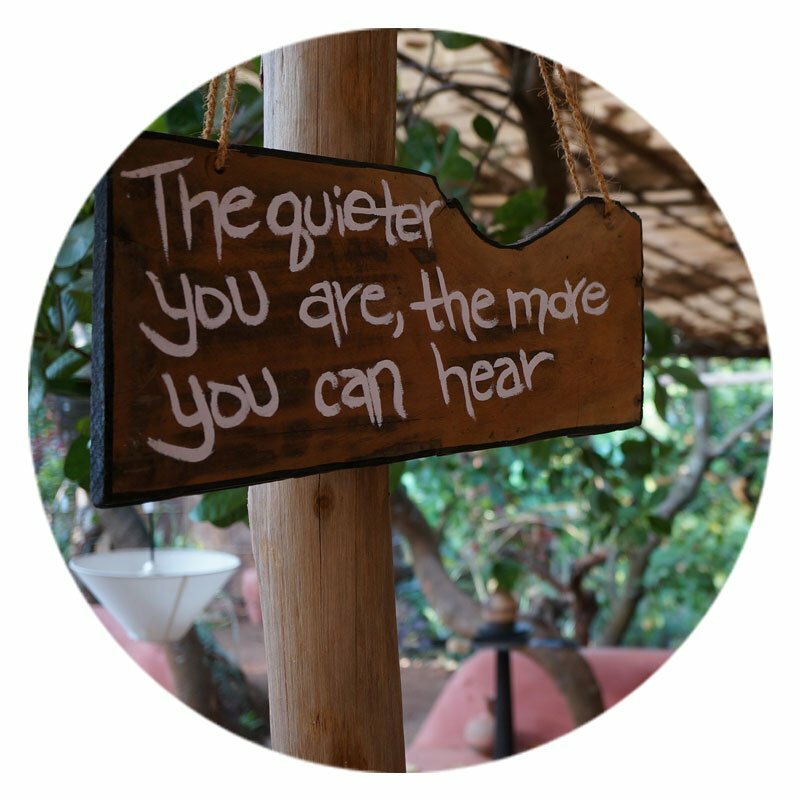 We aim to create a warm atmosphere and a true 'safe space'. We’ll practice yoga twice a day with permaculture study sessions in the classroom in between. Several permaculture sessions will include practical learning in the field. The location is a one-of-a-kind eco village sought out to reflect the ethos of our holistic retreats. 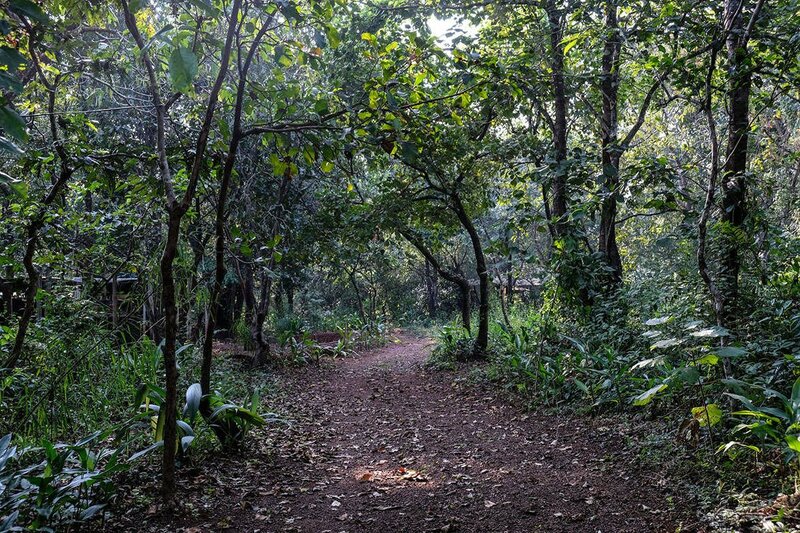 It is a hidden secret completely off the beaten path, set in the tropical jungle in verdant, tranquil south Goa. The venue encourages communion with nature and serves as the perfect backdrop for learning and living close to the earth. The distinctively designed cabanas and tree houses available are spread over 12 acres of forested land. The inside outside living plans have you living as close as possible to nature. The two yoga shalas on site are built accordingly to the rules of sacred geometry. Both the banyan tree shala and pyramid shala are located in the midst of green, their open design allowing a gentle breeze to wash over you as you practice. We offer vibrant and nutritious vegetarian and vegan meals in our onsite garden restaurant. Expect a creative fusion of wholesome, plant-based, indigenous, local and ayurvedic cuisine. Meals incorporate fresh, seasonal ingredients such as herbs, vegetables and medicinal plants sourced from local markets and sustainable farms including our own. We use organic as much as is practically possible. 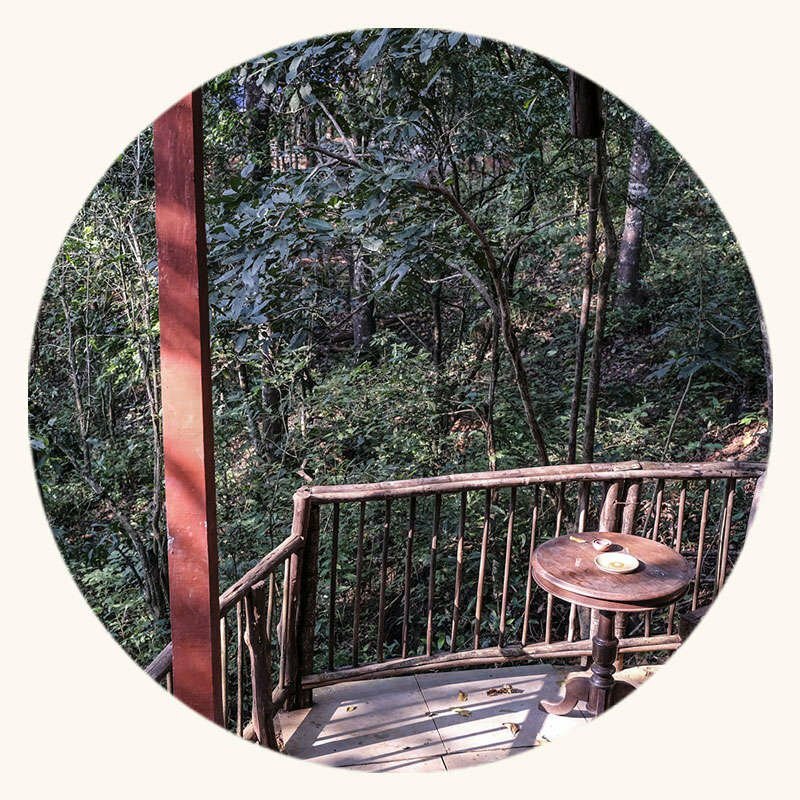 Our venue has standard and deluxe cabanas and tree houses available on a twin sharing basis. You can also request for single occupancy, just email us. Secure your spot by paying an initial deposit of Rs. 25,000. The remainder can be paid on arrival once you decide on accommodation preferences. Email us on meghna@kyospaces.com with your accommodation preferences and we'll get back to you as soon as possible to confirm all details. This retreat merges the ancient Eastern philosophy of Yoga with the holistic Western design wisdom of Permaculture. Both disciplines speak a similar language and stem from a deep care for humans and the earth. 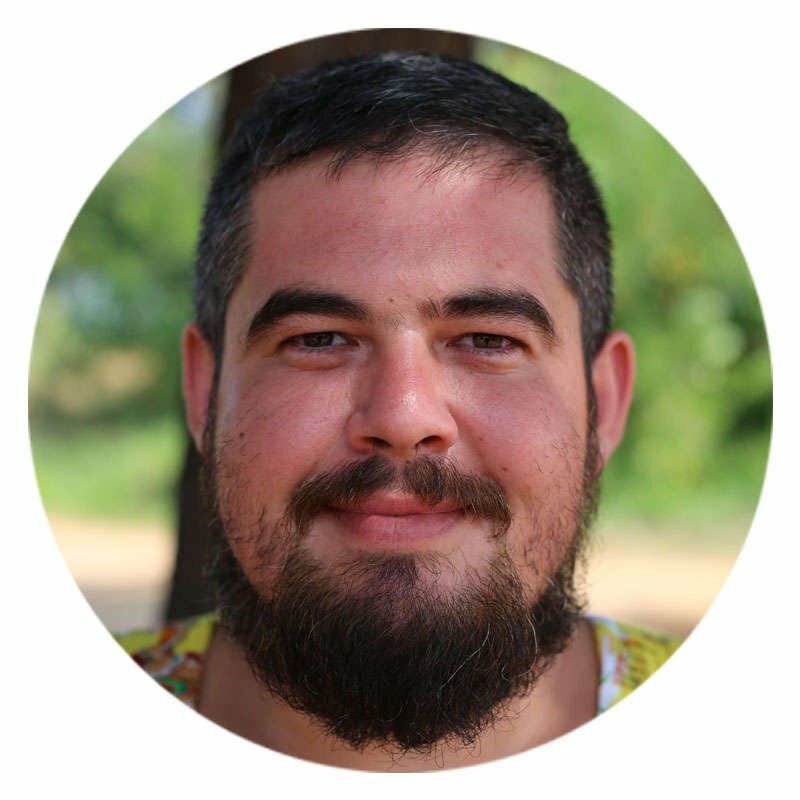 Claudiu is a certified permaculture designer, facilitator and registered educator with the Permaculture Association, UK. 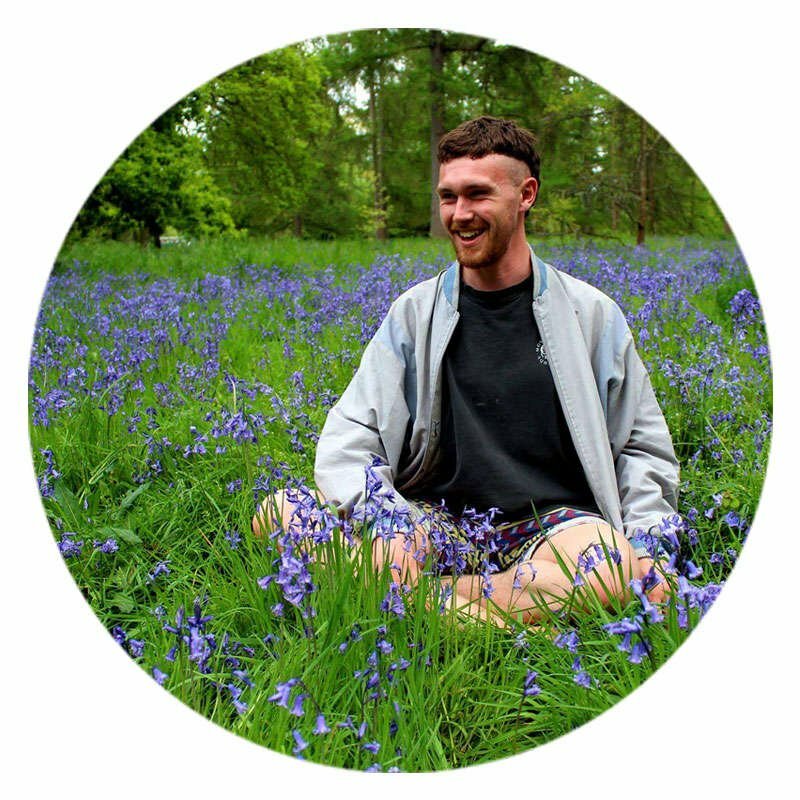 He teaches permaculture design courses, runs workshops in schools, organises foraging walks in the city as well as acts as consultant for various projects around the world. Claudiu’s teaching is inspired by the works of Masanobu Fukuoka, Bill Mollison, Sepp Holzer with a special focus on the people care ethic of permaculture and the works of Starhawk, Joanna Macy and Looby Macnamara which, in addition to his solid knowledge of land based systems, features strongly in his courses. Claudiu is fully committed to contributing towards the protection and renewal of all life. Through his work, Claudiu hopes to ignite a passion in others to establish a more connected and loving relationship with the Earth – one that is founded in reverence, respect and co-operation. Claudiu has been in India since 2016 setting up land and food growing projects in Goa, Tamil Nadu and Himachal Pradesh, volunteering, teaching the permaculture design certificate (PDC) course and assisting Robyn Francis, Rico Zook, Govinda Sharma, Narsana Koppula, Jude Hobbs, Clea Chandmal and Starhawk (some of the world’s best permaculture tutors) at the extended PDC part of the IPC (International Permaculture Convergence) held at Polam Farm in Hyderabad, in November and December 2017 . 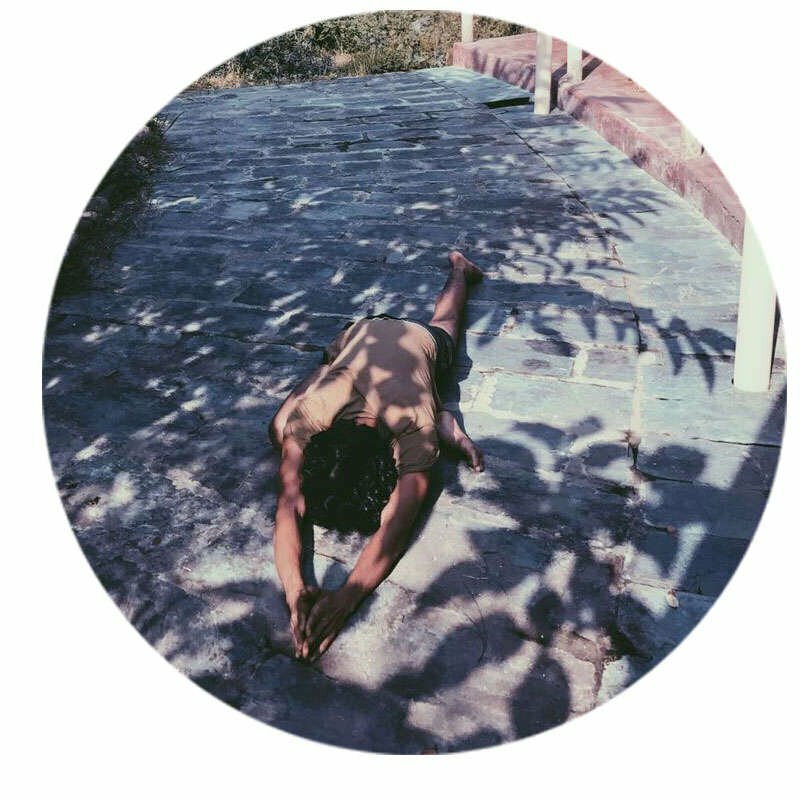 Maria Fernandes is a yoga teacher and permaculture practitioner. Her lifelong interests lie in healing and empowerment through deeper engagement and connectedness with oneself, with community and with nature. 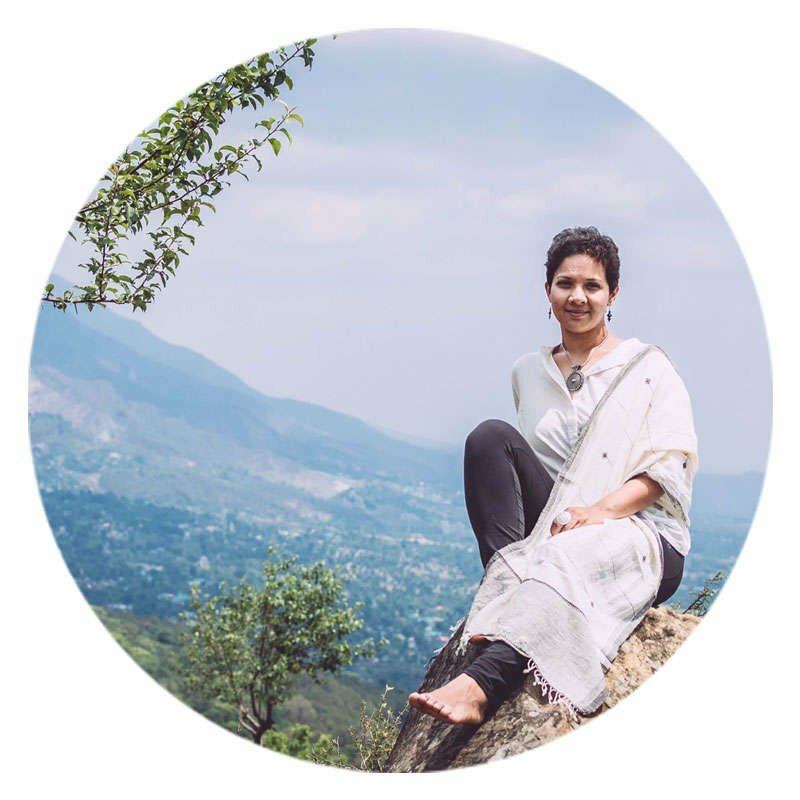 She has a Masters in Yoga Therapy and is inspired by research findings on the efficacy of yoga as a body-centered approach to address symptoms of traumatic stress. 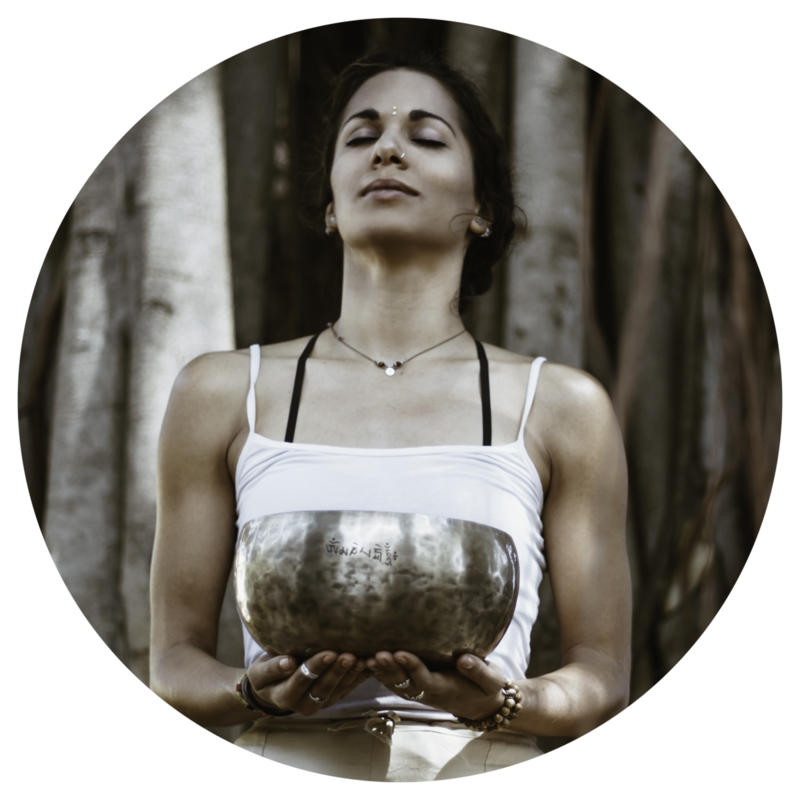 Sharanya Narayanan is a yoga teacher, dancer and movement therapist. Her introduction to yoga began over a decade ago when she started training in Rope Mallakhamb - a traditional Indian rural sport involving the practice of Asanas from a suspended rope. 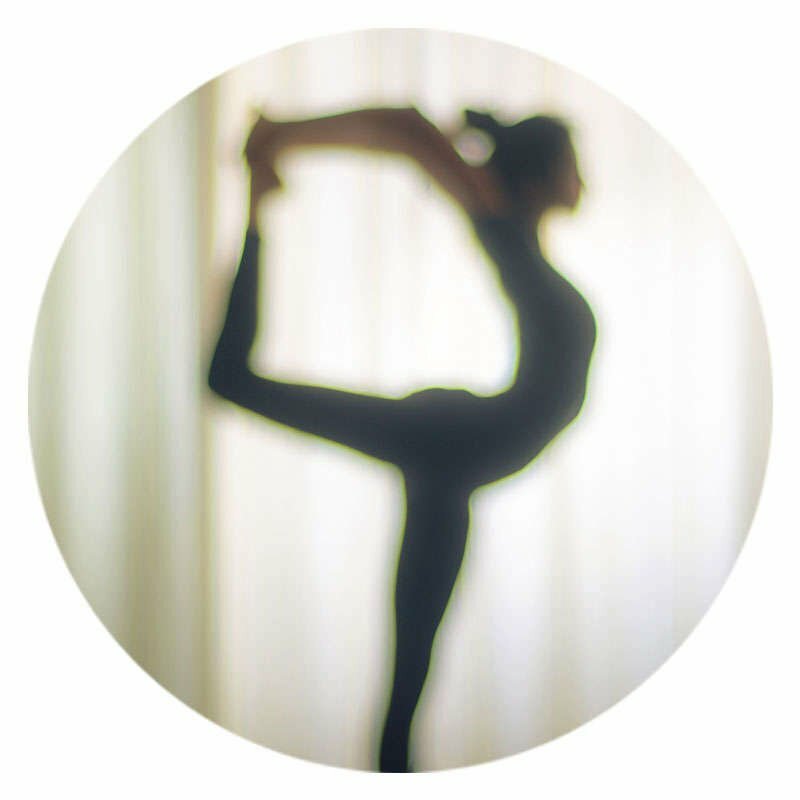 She has since then strengthened her yoga roots under the guidance of Senior Iyengar practitioners and teachers. As a Mallakhamb artist, dancer and yoga teacher, Sharanya has had the opportunity to train and work with some of the best names in both Bollywood and Hollywood. The most rewarding part of her job is being able to travel the world and share her passion for the movement arts. Nicky studied Performance Arts at Central School of Speech and Drama, in London, UK. He worked as a teaching assistant for children with autism for 3 years, in which time he learnt ways of engaging with non verbal communication and play to connect to his students. Nicky completed his PDC in 2015 and received a teacher training certificate in Iyengar Yoga in early 2017. He creates artworks inspired by nature and is passionate about designing games to enable learning through play, non-verbal and non-violent communication (NVC). He will be using his creativity to translate the course content into a live visual format. Our venue has standard and deluxe cabanas and tree houses available on a single occupancy or twin sharing basis. Secure your spot by paying a deposit. The remainder can be paid on arrival. Email us on meghna@kyospaces.com with your accommodation preferences and we'll get back to you as soon as possible.